Apple iPad 2 16GB, Wi-Fi, 9.7in - Black (MC769LL/A). The Apple iPad 2 even more comfortable to hold. It includes a dual-core A5 chip is a powerhouse and has up to 10 hours of battery life. Apple iOS 4-7, Apple A5 1 GHz. The world is in your hands with the Apple iPad 2, featuring Wi-Fi and a spacious 9.7-inch screen. 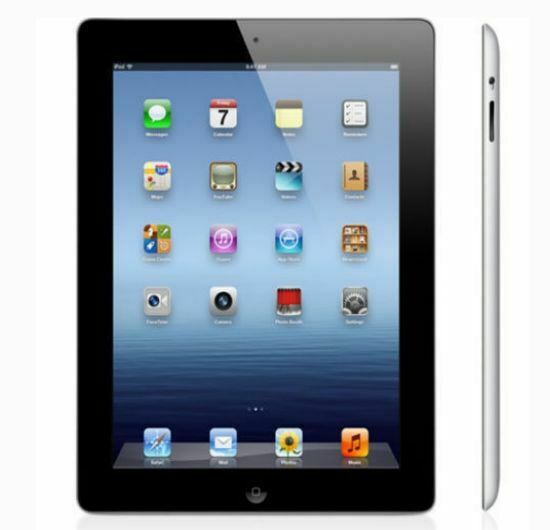 This second generation iPad provides users with 16 GB of integrated storage, 0.512 GB DDR2, and a 1 GHz Apple A5 processor. It has a multi-touch screen with LED backlight, 0.7 MP back camera, and 0.3 MP front camera. The built-in rechargeable lithium metal battery provides up to 10 hours of battery life, so you can keep up with all you need to do, whether it's checking emails, participating in social media, playing games, listening to music, or watching your favorite videos. I was excited to get such a great deal on this iPad. It supposedly worked great, but we haven't had great luck with it. It did look great (screen was in great shape, nothing looked scratched, dinged or damaged) and the battery life is great. However, when I open just about any ap it takes a while to open and get going. The other two iPads (refurbished & same generation) my daughters have do not do this. Also, I'll be in the middle of something and it will quit and go back to the home screen. This is very frustrating. As it was under $100 I feel like it's still a decent buy, but I am disappointed in the glitches. The original iPad alone was a great experience, The iPad 2 is a giant step up. Critics calls it a "oversized itouch" but it actully the other way around. When I use an iPhone I find myself squinting with iPhone in front of my face. The iPad 2 have so many features, its so much faster than carrying a netbook or laptop. And it lives up to its hype for the long battery life. The fastest I drained the battery was 5 Hours Streaming HD Videos which is impressive and it last 15+ hours surfing Safari. The only downsize to it was the fact that I couldn't fully customized*, so it had to be jailbroken and that fully completed my satifaction. *Changing Font, Lock Screen, And Adding useful features. Was pretty skeptical while ordering this but after your child destroys a brand new iPad Pro with one power slam, it's ok to take a step back. I am pleased with its performance so far and would recommend. Battery life fantastic. Screen, camera not the best but you can't complain about any "fine print". It is what it is. After buying a rugged case, I let my child slam dunk whatever and it is still breathing. Kudos!